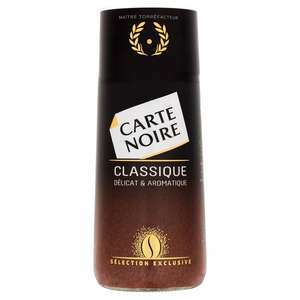 Carte Noire seems to be back at a few shops (Sainsburys, Ocado, Waitrose and possibly others). Order by 10/7. Not a great deal in terms of price, but I think some people will be happy to see this coffee has returned. Isn't L'OR coffee the same just rebranded? So they rebranded Carte Noir to L or and jacked up the price and sale plummeted , surprise surprise. Lets hope it goes full circle and goes back to the original Carte Noir made from Arabica beans that used to be really nice until they turned in into brown muck. Well said!! L’or was launched as an alternative by same company (they barely even changed the packaging, same bottle same everything just a poor attempt at a logo)and then they decided to discontinue Carte Noir. Carte Noir was so superior it’s not even a joke, glad they might be bringing it back! Deal posting newbie! This is LoveMeRight first deal post. Help out by leaving a posting tip or just to show your appreciation for their contribution.